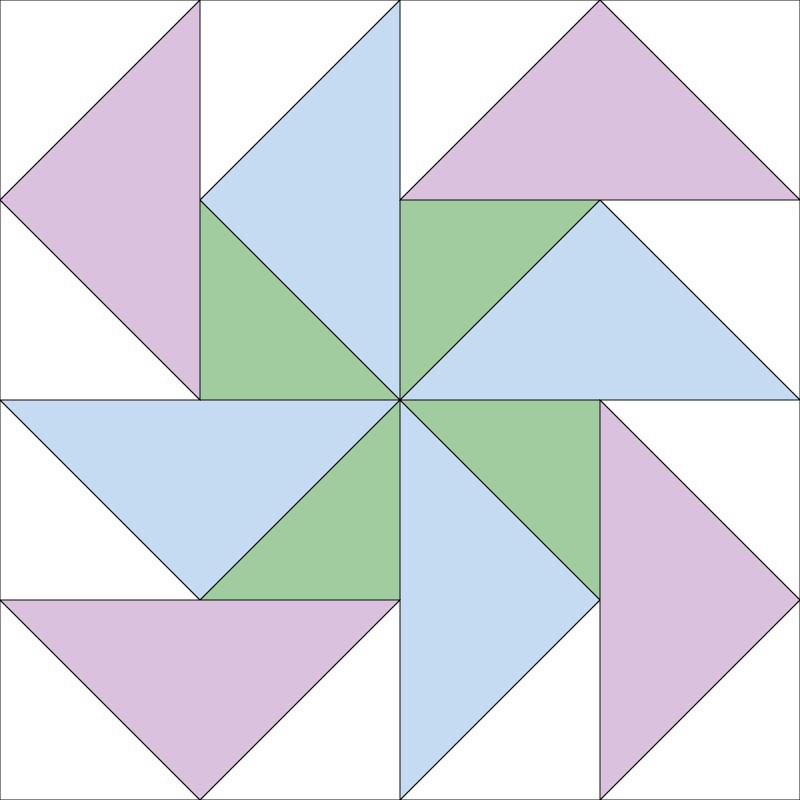 For the past 3 QMB posts, we’ve looked at creating half and quarter square triangle units and geese, so I thought it might be a good idea to look at how we can use those units with some squares to make blocks. 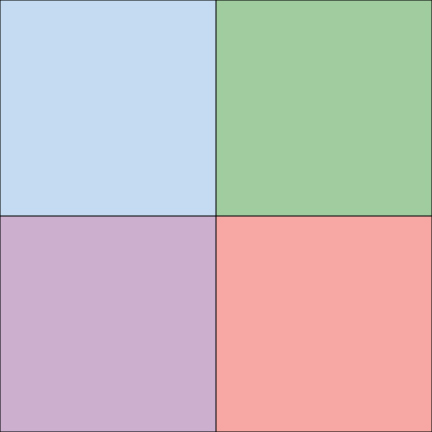 Traditional style blocks often (but not always) come in one of 3 layout configurations, 4-patch, 9-patch or 16-patch, which refers to the way that the units are broken down within the block, and this month we’re going to look at 4 patch blocks. 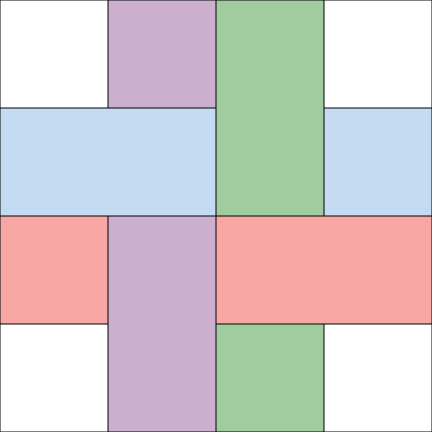 Adding in geese, you get this Dutchman’s Puzzle Block, where each unit is made up of 2 flying geese units. 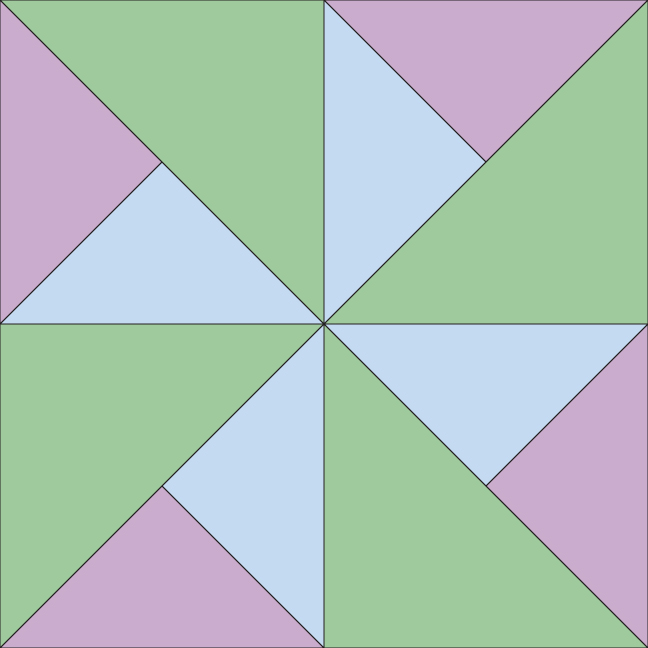 Note that this could also be considered a 16-patch block depending on whether you consider a goose unit to be a single entity or if you think it is effectively 2 half square triangle units joined. If you go with the latter opinion, it is a 16-patch block. Next month we’ll look at 9-patch blocks. I love trying to puzzle out how to break complex looking blocks into their 3 or 4 part constituents. Woven blocks always look so difficult until you realise their 4 block origin! Love that last block ….who knew you could whip that up from a 4 patch!